TOKYO / JAPAN - JUNE 19, 2018 / Tokyo 2020. 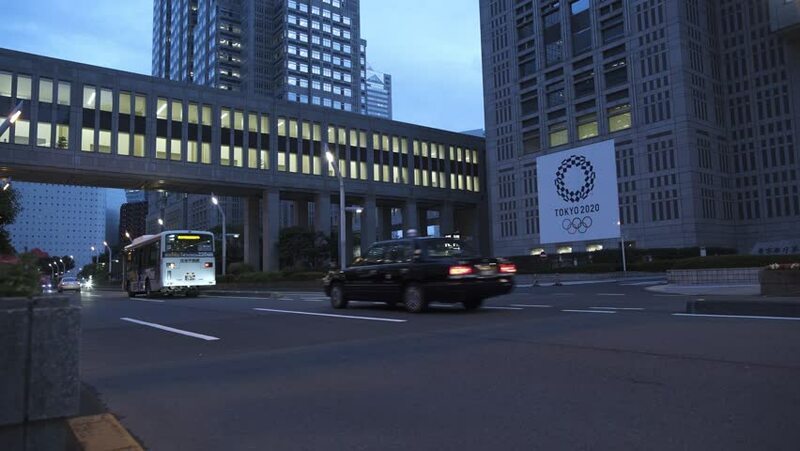 Logo of the Olympic Games in the building of the City Hall of Tokyo. hd00:11New York, December 23, 2016: Automotive traffic is moving along Park Avenue, time lapse. hd00:15HELSINKI, FINLAND - SUMMER, 2015: Helsinki. Sights. City streets. Finland. 4k00:19Timelapse blur of traffic and light rail train system in downtown Minneapolis, Minnesota. Metro transit system travels throughout Twin Cities St. Paul near Mississippi River. hd00:13Passenger train leaves Amsterdam Sloterdijk station.